by MERKS: Day 46, outfit 46. 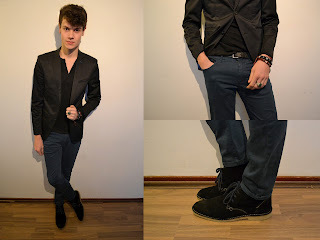 Today, I'm wearing my black suede shoes from Invito. Combined with a dark green skinny, a black shirt and a black blazer from Jack & Jones. Just add some accessories and I'm ready to go, ready for the weekend!